I am having an issue with TeeChart Xamarin control remaining in eval mode after it has been added to an existing production iOS application. 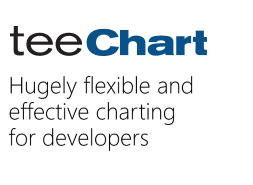 I have installed the license file as a resource and marked it as an embedded resource and called Steema.TeeChart.TChart.Init(); from AppDelegate.cs, but the chart control is displayed as an evaluation non-licensed version. So I have created a simple test iOS app using the same procedure to install TeeChart and that is working correctly. Can you give me any suggestions that may resolve this, please ? The production product uses the older portable classes for the PCL project but the newer test app that works uses .NET standard classes. Seems the problems is caused for you use incorrect assemblies or old assembiles, could you please confirm us the assemblie are you using is the latest ? I am using the Xamarin Forms library Steema.TeeChart.NET.STD.Xamarin.Forms -Version 4.1.2018.1150 from NuGet, I don't see any older versions than this. this shouldn't be a problem (to use older portable classes), as it uses the same procedure. Did you use any other TeeChart for Xamarin.Forms version (Pro for example) on that project ? If so, that could be the cause, that the project is trying to load or referencing to other packages. If it's not the case, would it be possible to send us an example (removing most of the things) so we can do the tests here ? just inform that I've found a bug which could cause the license problem. We're going to update the nuget package for a new version asap. Please, check once it's updated. I have tried both versions uploaded recently 4.2018.4.24 and 4.2018.4.26, but the chart still displays as an evaluation version my our production app. I have checked if I can read the TeeChart.licenses file from the manifest resource stream and I can get the license string without issue. This is becoming quite an issue for my company, we recently bought TeeChart licenses to replace the chart we used previously but as we cannot get the chart licensed in the app I cannot submit the next release. Is there anything else that may cause this? sorry for the inconvenience. This problem should be fixed in the latest version 4.2018.4.26. In any case I'm going the recheck by using the your license file and back to you asap. I bought license for Xamarin forms project. I already spent a day on how to remove watermark with help of license file. I've been checking your license file ( the one you received from the sales department ), in a new Xamarin.Forms project, and all seems to work fine here. I've just sent a private message directly to you mail account with the sample project. Could you please check if all is working fine for you?